If you’re thinking about getting into online retail, you are undoubtedly thinking about sourcing from China. You are right to believe that there is enormous opportunity available in this country where labor costs keep product pricing very low. But, and you probably know this as well, China’s emerging global economy is poorly regulated, which leads to copyright problems and illegal business activities. Add the inherent communication problems, cultural differences and importation issues, and trade with China becomes a pretty complicated undertaking. Fortunately, many online entrepreneurs have been pioneering this pathway and their experience provides a good deal of guidance on how to work with Chinese companies successfully. We’ve gathered recommendations from many traders to develop this collection of tips and cautions. 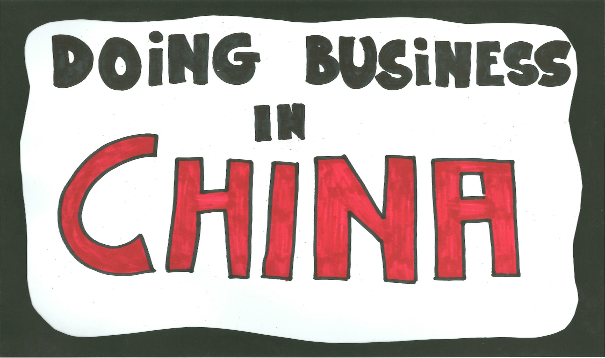 This is not the complete how-to of doing business in China. Rather it’s a look at some of the realities of China trade from the insider’s point of view. The web is full of stories about scammers operating in China and indeed, there are definitely people in China who will take your money and run. But, as many traders point out, there are also very reputable and trustworthy people who work hard to make quality products and want to do business with you over the long term. The problem is that the scammers are the ones using the Internet, trolling for suckers to lure in. The legitimate factories are often far less web savvy and simply don’t have the wherewithal to make connections with buyers. Plus, the standard of living in China is very low. The �1,000 order that you place may be a big bite for you; to many Chinese people it’s the equivalent of a year’s salary. Just think of the temptation if you were struggling to keep your family fed and, in doing business with people you don’t know and will never meet, they send you a �25,000 payment. You might consider ways to make some extra money off that deal. Bottom line, successful traders say that it’s possible to do well in transactions with China but you need to be very, very well informed or you risk getting scammed. You cannot buy branded goods from China!!! If someone offers you Nokia phones, iPhones, Nike running shoes or any other brand name, run in the opposite direction!! To buy Branded goods at wholesale prices, you must contact an authorized distributor of the product. Most discussions of product sourcing start with going to the manufacturer and buying direct if you can, so you can skip any middlemen. Not so true in China!! One experienced trader said that learning to speak Mandarin (the primary language spoken in China, not Cantonese) is the easiest part of working with a Chinese factory! The enormous differences in culture, business environment, expectations and so on make it nearly impossible to work directly with manufacturers. Most traders recommend either using a buying agent who can be the go-between or finding legitimate wholesalers. Many traders use trade portals because they gather all the resources in one place and in many cases, suppliers are vetted. Traders have favorable things to say about Esources, Global Sources and Worldwide Brands. Alibaba, on the other hand, gets a lot of negative reviews. Traders are especially unhappy that many of Alibaba’s “gold members” are scammers. For a large list of Alibaba Gold Member scammers visit Alibaba Scam - Global scam starts here! (Alibaba Bogus Manufacturer Directory - Fake Suppliers, Unknown Manufacturers, Crook Exporters & Importers) and The bigger list of chinese scams | Firetrust. Warning: Many scammers are located in Fujian Province, China. 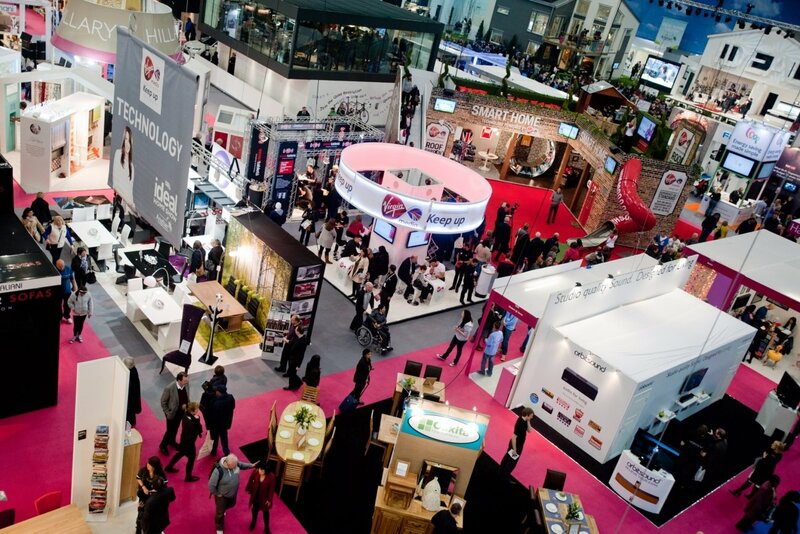 Trade shows provide another opportunity to meet suppliers face to face while looking at and touching their products; the U.S. and European trade shows have a small number of China manufacturers while shows in Hong Kong and China have a much better representation of Asian suppliers. Here’s where things get sticky. Companies that are actively advertising on the Internet are often scammers. As several Chinese traders who frequently post confirm, many Chinese manufacturers are simply not well versed in website development and management so they are not well represented online. Good idea: Use trusted trade portals; they employ people whose job it is to root out scammers. It’s generally worth the money you will spend for a membership or subscription. While we’re talking about product sourcing, let’s talk about scammers. Many, many traders have had experience with these unethical businesses and most have at least one tale to tell about getting burned in a transaction with a company that wasn’t as advertised. They have a lot to say about how to tell that a company’s not legitimate. Here’s what scammers look like, from the vantage point of those who have been burned. Are typically trying to sell brand products such as iPhone, Nike, etc. Use very low pricing to attract you. Some even offer to send the goods for just 50% down. This “generosity” is not a problem since they will simply take your money and ship nothing in return. Insist that you use Western Union and wire transfer because you cannot get your money back once you pay them. Plus, it’s almost impossible to track someone after the Western Union transaction has taken place. Don’t have a company email address; they use hotmail, Gmail instead or another free mail provider. Provide a contact phone on the website that doesn’t answer or has a recorded message only. Offer many different products in the “hot” categories such as laptops, iPods, mobile phones, GPS systems, etc. Have only been in business a short time. Are often located in Fujian province. Caution: Scammers are often available to chat on Alibaba's Trade Manager, Yahoo Messenger or MSN outside of normal Chinese business hours (4pm New York time is 5am in Shanghai.) They are hoping to lure you into placing an order and sending payment. Now, for every rule there is an exception. While most traders say that a supplier who wants you to use Western Union is almost always a scammer, many other traders suggest that legitimate suppliers use both Western Union and wire transfer as well. We have published a number of good methods for verifying suppliers in our Forum Guide on that topic. We generally won’t repeat that information here so be sure you have taken a look at those best practices. We want to focus on trader recommendations for verifying Chinese suppliers. Even if you conduct what is generally considered good due diligence, using a verification or inspection service can reveal additional information about a supplier. A fellow trader ran all due diligence checks on a Chinese supplier, but then decided to spend about $40 to have a third party verification done. The trader was absolutely right that they were a legitimate company. But, the verification service discovered that they did not have an export license; his shipment would have cost $100 more than he expected to pay. Interesting idea: there are scores of expats (students, for example) living throughout China. Most of the major cities have expat magazines and associated websites. You could take out an ad in a magazine, looking for someone to do your footwork, i.e., visit the site, ask the questions you need answered, send back photos, etc. These services can be secured much less expensively than using a buyer’s agent. Many traders are adamant that you simply have to visit the supplier’s factory in person so that you can verify that they have adequate capital, quality systems, and capacity. Of course, that’s not always feasible when you’re just starting out. Every legal company in China has to register with the Chinese government and obtain a unique company number. You should obtain your Chinese supplier’s business registration number then verify the number with the Chinese government. Unfortunately, that’s easier said than done. The primary registration body is the Bureau of Industry & Commerce, the only government agency responsible for the registration of legitimate companies or enterprises in China. This agency has local authorities at the provincial level throughout China. Unfortunately, their sites are only in Chinese (http://www.csaic.gov.cn) so they are not accessible to most non-Chinese speaking people. Plus, you need to be sure that you have the business name in Chinese, not in English. Of these only the Chinese Yellow Pages, www.yp.net.cn, has an English version of the site. And unfortunately, the Yellow Pages are not as popular an advertising medium in China so that if you don’t find the supplier listed, it doesn’t necessarily mean that the company does not exist. Bottom line, it may not be easy to verify a business registration number for a Chinese company. Good idea: Since the only barrier between you and verification is the language, try contacting your local business association, e.g., Chamber of Commerce or small business administration to find a Chinese translator. Pay a small fee to have that person check the registration number. If the number is valid, ask for the whole page associated with the company to be translated. If you are unwilling to trust the translation, get a backup translation through Elance.com. You also need to be sure that the company has a valid export license. Chinese companies need to meet these legal requirements to export. Registration with local Bureau of Inspection & Quarantine in case products are subject to these rules. In our opinion, verifying Chinese companies is necessary and very complicated. We recommend that you either hire a verification agent in China or only use suppliers that have been vetted by a reputable trade portal. Experienced traders warn that you really can’t overestimate the cultural and language issues that you will face in working with the Chinese. Good advice: Put everything in writing. Use very, very simple terms. Make absolutely no assumptions – everything must be explained. This is not because Chinese suppliers aren’t smart, effective businesspeople; they are just as capable as business people anywhere else. It’s because the differences in the way information is translated, understood and perceived can have a huge impact on clarity and understanding. When you contact the supplier, start by explaining your business and then request samples of the products you’re interested in. Be prepared to pay for the samples and the shipping, possibly by wire transfer. This should be a small amount of money so it’s fine to go ahead and pay it even though you may not want to continue in a wire transfer arrangement. Find the product for sale in your country and review the certifications listed. Experienced traders say to communicate frequently with the supplier about all details of the transaction – not just the product, but also lead times, manufacturing completion dates, shipping arrangments. Good advice: Everyone who has dealt with China sourcing agrees: start slow and build order volume as you become comfortable with the supplier. Now that you have a supplier, placed an order, and made an initial payment, you have to protect your investment with good quality control. If you do happen to be working directly with the manufacturer, you should know about the quality control system before production begins, including selection of raw materials, testing, etc. 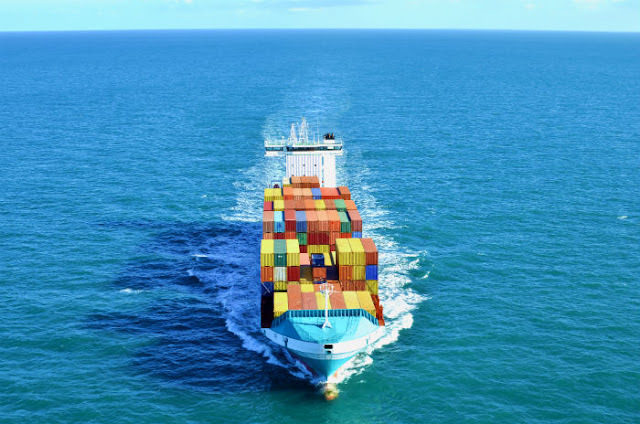 Traders say that for any large order, you really must hire a third party inspection agency that inspects during production as well as at packing and at the shipping dock. If you are working with a wholesaler, your goal is to be certain that you receive exactly what you paid for. Again, traders recommend that you have your packed merchandise inspected just before it leaves the country to be sure the shipping container holds your specified product. Experience suggests that these in-country agents typically cost 5-8% of the product cost; it’s well worth it to be sure that you have the right product to sell. Let’s start out with this excellent advice from a seasoned trader. If you want to have a safe transaction do not choose a safe payment method, choose a safe company. By the time you get to payment, you should already have enough information on the company you’re dealing with not to worry about the payment method. Beyond method of payment, you need to pay attention to other issues as well. Pay close attention to the trade terms. A factory without an export license will offer ex factory terms. That means that you pay the price of the product before it leaves the factory. It’s then your responsibility or at least your cost to get the goods from the factory to you. It’s typical to see terms such as “FOB Hong Kong” which means the supplier pays to get the goods to the port of Hong Kong, and you pay to get them from Hong Kong to your warehouse. If you don’t understand these incoterms, take a crash course at . There’s a great summary chart available at that site as well. (www.iccwbo.org/incoterms/wallchart/wallchart.pdf). Common payment terms are 30% at time of order and 70% when goods are shipped. The 30% payment at time of placing the order gives the manufacturer the money needed to purchase the raw materials necessary for your order. Some buyers have negotiated other terms, like 30% at time of placing the order, 55% at time the goods ship, and 15% when the goods are received. Caution: While many traders say that Western Union is a standard transaction method for Chinese suppliers and doesn’t necessarily translate into “scammer,” it’s wise not to accept that payment method until you have built a good relationship with the supplier. Credit card payment is much better because you have the ability to dispute transactions. Good advice: When you write a purchase order or contract, make sure you have clear options including outs and specific penalties if problems such as delays arise. Sourcing product from China is a terrific way to access products at low cost. But, you must take the time to ensure that you have the right suppliers and you understand all of the costs involved.